Where do we get the strength? Where do we get the strength to carry on when life delivers one of her body blows? The news has been overloaded with stories of human suffering. Families who have lost loved members, and violence perpetrated by those who believe they have a right to take life. Like so many people, I have been appalled at what is happening in Gaza. There can be no excuse for the mass slaughter of innocent civilians no matter how much blather is spouted by the Israeli publicity machine. I am old enough to remember the terrorist tactics of the Stern Gang in what was Palestine. The blowing up of the King David hotel and the blood bath that ensued before the UK, to its everlasting shame, pulled out of the situation and left the Palestinians to their fate. The rest is history: the sponsorship of the Zionist ambitions by the USA, the UN, and all those who subscribed to the arms supremacy currently enjoyed by Israel. I suppose Arthur Balfour, a British politician, must bear the brunt and blame for having, in 1917 allowed those Jews seeking asylum from persecution in Europe to find sanctuary in Palestine. By giving these refugees a place of safety, he also gave them an excuse to call it a homeland; but Palestine was never the property of the UK to give to anyone, commendable though this gesture was. Since 1947, the Israelis, some descendants of those original refugees, have systematically stolen land and property from the Palestinians. They have reduced the host nation to becoming second-class subjects in their own land – without rights or hope of a future. Here we may be forgiven for drawing parallels with the Nazis, and what they did throughout Europe. Bit by bit Palestine has been reduced to the strip of land known as Gaza; another ghetto. Now, even that is being violated. True to tradition, according to the history of the Old Testament, the Israelites were ever the aggressors; driven to acquiring the land of their neighbours and arrogantly calling it their own. Some things never change. Perhaps that was the reason the Romans expelled them from Jerusalem two thousand years ago – warning all Jews never to return on pain of death; a warning that was never revoked. Meanwhile, the world’s politicians wring their hands and spout their rhetoric while Netanyahu puts up two fingers at the United Nations and tells all of them that Israel will stop only when it chooses. All this we can ponder on while we remember how the might of America and UK marched and blasted its way into Iraq on the mere pretext of supposed weapons of mass destruction. The catastrophic meddling of George Bush and Tony Blair has resulted in a maelstrom in the Middle East that will have repercussions for years to come, yet Israel has obtained, against all international agreements, atomic weapons. The disillusioned expert who disclosed this to the world in 1986, Mordechai Vanunu, has spent many years (eleven in solitary confinement), entombed as a political prisoner in Israel after being lured to Italy, and then kidnapped by Mossad. He is still not allowed to leave Israel even though he has served the heinous prison terms imposed upon him, despite pleas from his worldwide supporters that he be freed. All this and the world looks on. 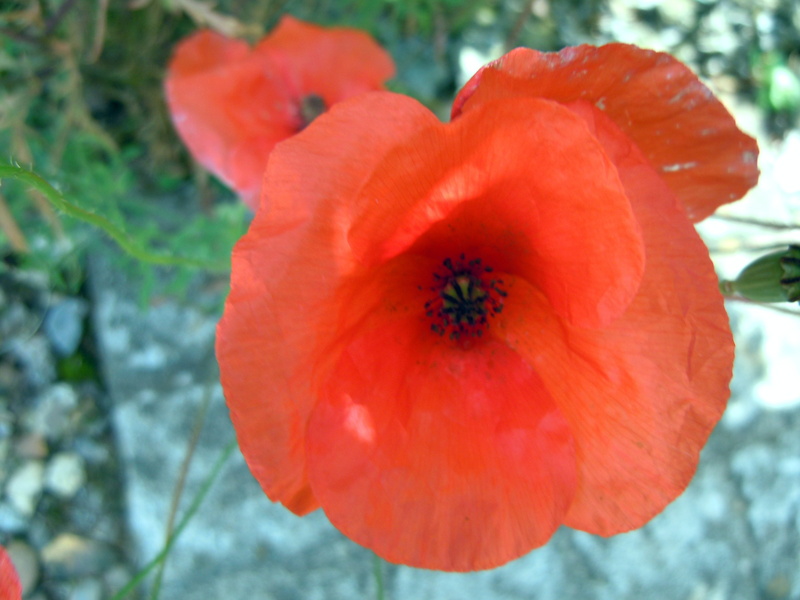 Poppies still grow, and we remember. Yes, we still wear our poppies proudly and remember – yet we still have the world’s politicians willing to commit the young of every country to more of the same. We have natural disasters and everyone with a speck of humanity, rallies to the aid of the victims – which is as it should be in a world where distance holds few problems. Yet, too often, our young troops, wounded or maimed in mind as well as body, are left to get on with what remains of their lives as best they can, rotting amid their own mental nightmares with their families being forced to share the situation as it is, and often becoming victims too. It’s almost impossible to expect career soldiers, trained to fight and kill those they are informed are their enemies because they happen to be on the opposing side, to then switch back to benevolent mode upon the say so of politicians. The same politicians who, having provoked the fighting, sat back watching what happened while even making fortunes out of the conflict, decide to call a halt to the slaughter and recall their soldiers; making them pick up the threads of the life they’d left.